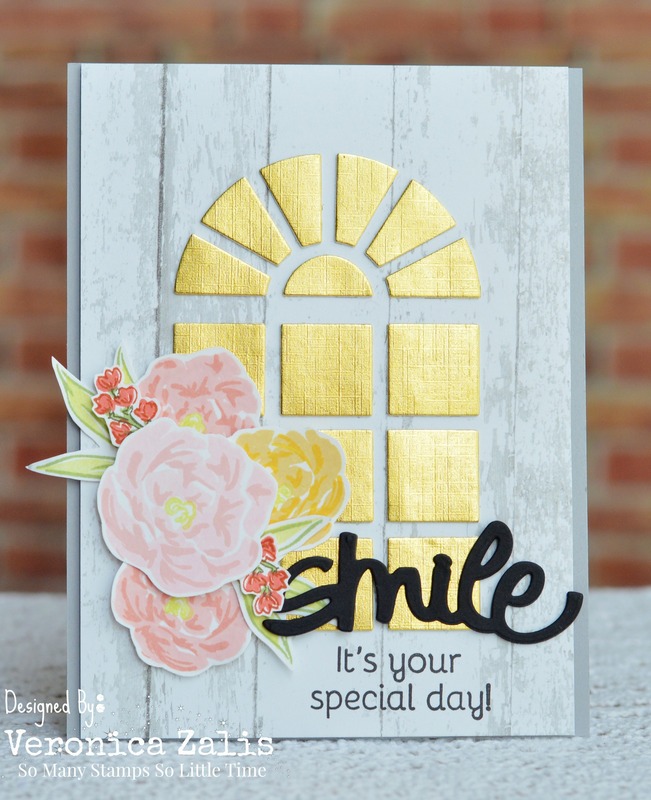 So Many Stamps So Little Time: Your Special Day - Stretching My Creative Wings! I am all caught up this week on DT cards so I had a little time for fun this morning! I am playing along with the current CAS(E) This Sketch Challenge! This card was a labor of love for sure! My window was created by die-cutting a window die 3 times, and punching all of the inner squares out. I glued them together three at a time to create a chipboard effect. Next, using the window as my guide I glued the squares to my card base and took off the window leaving only the squares. I LOVE the way this turned out, and it can be used with so many other dies! 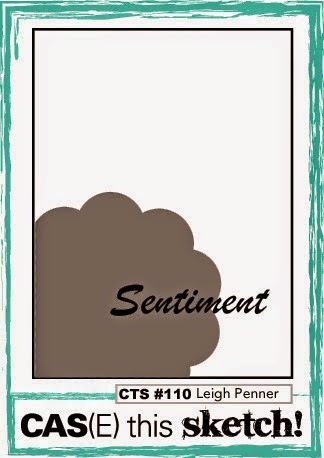 The floral stamps are from the WPlus9 "Pretty Peonies" set and a sentiment from a PTI set. I am so pleased with the way this card turned out! Thank YOU for stopping by and I hope you have a wonderful day! Well all of that effort was worth it, Veronica -- your card is gorgeous! Fabulous take on the sketch! Thank you Leigh! You are a sweetheart!! The window looks amazing! At first I thought it was gold paste with a stencil, love how it glows! So pretty, I love the gold.